Surf School is in session! 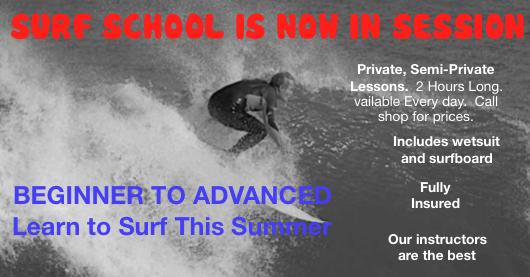 Both Surf Camp & Surf Lessons are offered by our surf shop! As soon as the water gets conducive of course – usually about May until mid-October! Our instructors are top notch with a love of the water they are eager to share with you! Having surfed years on Long Beach Island, our surf shop instructors know just where to take you to catch your first wave or can help you take your surfing to the next level! All ages are welcome. Maybe you used to surf as a kid but “life happened”. Now you are ready to reacquaint yourself with your childhood sport! 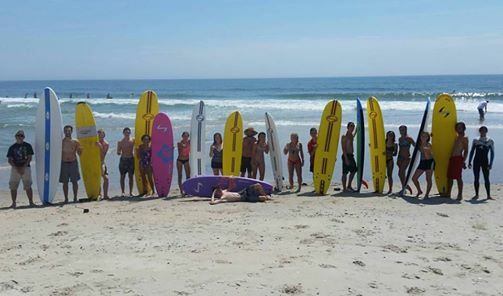 From our 3-day surf camp for kids to group, semi-private, and private surf lessons, there is sure to be an option that fits your needs! LBI Surf Lessons are going on now! 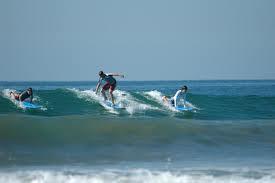 Private and Semi-Private surf lessons available! You choose the day! Price based on class size. Range is from $45 – $100 per person. We’ll pair you with one of our top-notch instructors. 3-Day Surf Camp Every Week! Surf Camp Special: $120. Reserve your spot! Our surf school believes the key to surfing is a strong foundation of water safety and knowledge. We do not profess to take someone out for one day, get them to stand on a board, push them into a wave and call them a surfer. Our Head Instructor has been surfing for 45 years, was a lifeguard, a lifeguard trainer, and has surfed all over the world. Our goal is to leave our students with surfing skills and water experience that will last their entire lives. Create your own surf school party! 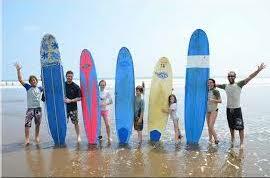 Our guy and girl instructors will be happy to take your group of all ages for your own private surf party! Great idea for bachelor, bachelorette parties, girl and Boy Scout troops, family reunions, etc!